Cook Set Cupcake favorite girls theme for cooking, nicely packed gift set. 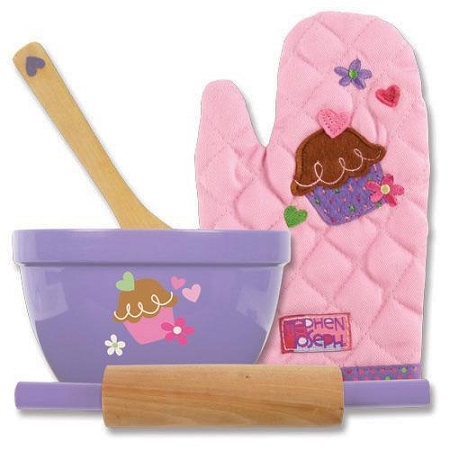 Cupcake set includes quilted cotton oven mitt machine-washable, dishwasher safe bowl, wooden spoon and rolling pin. This is ready to go gift for girls, you can match it with cupcake apron to complete cooking set.